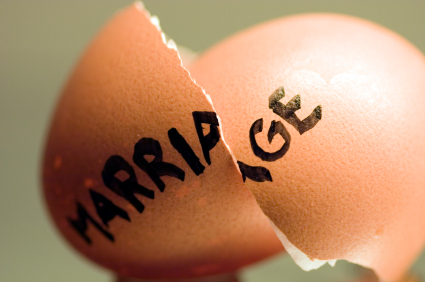 It seems the honeymoon is over. Michael Grimm, considered by some to be a “conservative warrior” during his successful campaign to oust Democrat Michael McMahon from the 13th Congressional district, has divorced himself from what he called “the extreme right wing of the Tea Party” this week. The statement doing so was both poorly worded and poorly received from those ordinarily considered Grimm’s base–conservatives and Tea Partiers–who have expressed anger over the remarks. The move also suggests (to some) Mr. Grimm’s attempts to moderate himself politically in advance of a presidential election year in a district that was just as willing to vote Republican as it was Democrat in the past four years. New York Reps. Michael Grimm and Nan Hayworth—who both won office with tea party support—have recently angered some conservatives by voting for a budget compromise with Democrats, a sign of how difficult it may be for the two Republicans to manage the competing demands of their electoral expectations and their more moderate home districts. Ms. Hayworth, who represents suburbs north of New York City, and Mr. Grimm, who represents Staten Island and part of Brooklyn, insist they are staying true to their long-stated ideals, and that the budget vote this week is just an early skirmish in a larger battle over government spending. Yet 54 Republicans in the House disagreed, voting against the deal because it did not cut more. All six of the newly elected House Republicans from across New York state voted for the compromise. Among them, Mr. Grimm stood out by openly criticizing the tea party and “extreme right” of his party for opposing the deal. That, he said, was a big mistake. Mr. Grimm also suffered an odd kind of political curse for conservatives: praise from Democratic Sen. Charles Schumer of New York. In a Senate speech, Mr. Schumer singled out Mr. Grimm as a “commonsense conservative” for supporting the spending bill. While Mr. Schumer is generally popular in his home state, he inspires scorn from tea party members. Mr. Grimm argued that it is smart strategy to pass the bill in order to make the Democrats concede the need for cuts first. He also argued that forcing a quick government shutdown by not passing a bill could hurt the GOP’s chances to retake the Senate and White House in 2012. Some tea party activists have criticized his decision, but Mr. Grimm said he feels most tea party members in his district still support him. After winning office, [Grimm and Hayworth] joined the moderate Republican group called Main Street Partnership, which has long clashed with a more conservative group, the Club for Growth, over the direction of the GOP. Grimm State of Tea Party Marriage to Mike: Has the Congressman given up on the Tea Party entirely? The extreme wing of the Republican Party is making a big mistake with their flat-out opposition to a short-term continuing resolution. They’re not looking at the big picture, and the last thing we want to do is become like Nancy Pelosi in the last Congress, where it was ‘my way or the highway.’ Last week’s passing of the CR cut $ 4 billion and this week we will cut $6 billion. Cutting spending is going to take small steps, and each successful step must be viewed as a victory. I know that there is some opposition to working with Senate Democrats from the extreme right of the Tea Party who would rather see a government shut-down than pass a short-term solution; however, as long as we continue to cut spending each time, we are keeping our promise to the American people to reduce the deficit and fix the economy. If we’re going to do what we set out to do, we have to set realistic expectations, and cannot bow to the extreme right or left. Those views don’t represent what’s best for our country and they certainly do not represent the views of the majority of my district. Mr. Grimm uses the expression “extreme wing of the Republican Party” in the first paragraph and then follows it up with “the extreme right wing of the Tea Party,” which suggests that the two are one in the same. It could every well be that Mr. Grimm did not intend his words to be an attack on the entire Tea Party but just its most “extreme” sympathizers. If Mr. Grimm is wise, he will try and sell this version of his statements to the press and his supporters to clarify. Mr. Grimm has to be careful. He knows that the district could just as quickly throw him out of office as it did former Rep. McMahon, the Democrat. Especially if President Obama somehow picks up steam in the next year and a half against the upcoming GOP contenders. He must understand that the district has changed and that he received no more votes than the previous Republican for that race received–Robert “Hot Dog” Straniere”–in 2008. If Democratic turnout is high next year, he will have to prove to the independent voters and conservative-leaning Democrats that he deserves to keep his job. That could very well be what he was attempting to do with this statement. Then again, you never sacrifice your base at the expense of those who may or may not vote for you. There was clearly a more eloquent way to say what was said, and one hopes the staffer who wrote up that troubling statement has either been reprimanded or fired. Mr. Grimm is walking a very fine line. He is being watched, and there are those in his own party in the establishments of the Brooklyn GOP and Staten Island GOP, who would love nothing more than to see him fail. He needs to get on the right side of this issue. Reject extremism. Don’t reject the Tea Party. Be responsible. But do not reject the principles you espoused. And don’t be afraid to apologize for mistakes and move on. Right now, the only thing that should be on Mr. Grimm’s mind is serving the needs of his district as well as possible and in the best interests of the nation at large. Having to explain for upsetting press releases will not accomplish that goal. Mr. Grimm has shown he is able to stay in the public eye and get media attention. If he wants to win again, he needs to get ahead of this debacle without sacrificing his base or losing the support of moderates who will both put him into office come the following November. There is a lot of time between now and then. There’s a reason GYRENES are called “JAR HEADS” even if the “Teufel Hunden” don’t get it. Somebody who ain’t eliminated l’il ole Jonathan Judge after three years tryin ain’t gonna take on no sittin Republican Congressman backed by Mike Long. If he tried he’d be burnt toast. That’s a great point, so maybe my point was exagerrated, but I do think craig eaton is one of those who does not want to see Grimm succeed, especially given their non-relationship..I could be wrong, but I heard that at the Brooklyn GOP St. Patricks day event this sentiment was expressed.. The comments by “The Jig is Up Atlas” jabbercranks, “Real Grimm Supporter said…” and “Real Republican and Real Grimm Supporter said…”, are typical of what’s wrong with what appears in Eaton’s Brooklyn GOP hate blog. TJIUA generally publishes posts and commentary without meaning or purpose. In reality other than trying to look like it’s responding in a meaningful way to what appears in Atlas Shrugs in Brooklyn, “The Jig is Up Atlas” doesn’t do very much that makes any sense at all. For example, what does something like this mean, “I think they have lost it, they really have, that’s what happens when your beat over and over. *** Kinda like how Bill Colton has it….” ? That’s routine for them; Colton has beaten Gallo and Carbo like a pair of bongos and TJIUA pretends that something else has been the case. The so called “attack[s]” that appeared in ASIB concerning Congressman Grimm’s scrambled remarks about the Tea Party were a few negative observations, a few jibes and some constructive criticism, together with a couple of general statements of support. That’s not an unfair or particularly hostile response to the congressman’s screwed up statements concerning “the right wing[s]” of the Republican and Tea Parties. Remember, we TWICE voted for the Congressman in 2010 and now he’s supposed to vote AND SPEAK for us, thoughtfully. It’s our right as Republican supporters to let him know when we think he’s not doing that. On the other hand “The Jig is Up Atlas” and most of their senseless blatherers are not just nonsensical, they are nonsensical hypocrites. They seem to have forgotten, that prior to the primary in 2010, they were unscrupulous and completely irresponsible in their vicious and extremely personal ATTACKS on candidate Michael Grimm, many of which were adopted whole by the campaign on behalf of Democrat McMahon. I understand and the facts over the past months demonstrate that Grimm has not forgotten these “attacks” by Eaton and his GOP on candidate Grimm..
“Mikey Suits,” the FBI agent- turned-New York City congressman, is working hard to defend the industry he once made his name busting. 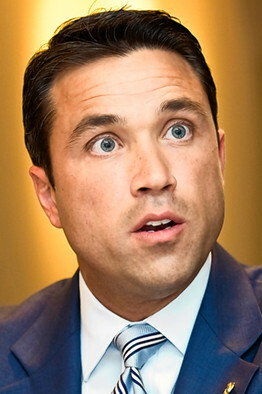 “When we demonize Wall Street, it’s the people on Main Street who don’t have a job,” U.S. Representative Michael Grimm said as he walked the Jersey City trading floor of ICAP Plc, the world’s largest interdealer broker. In any other Congress, Grimm’s support for businesses that employ many of his constituents wouldn’t attract attention. Not this year. Like many new Republicans in Congress, Grimm was propelled into office by Tea Party activists determined to slash government spending and stop economic bailout efforts like the Troubled Asset Relief Program that aided Wall Street. Now, the lawmaker whose fondness for pinstripes earned him his nickname is doing what it takes to get re-elected in a Staten Island district dependent on financial-service and government jobs — and angering some supporters in the process. His approach helps explain why the 87 new House Republican freshmen haven’t hardened into the block of anti-government lawmakers that Tea Party activists thought they elected. Grimm and other Republicans who represent swing districts have discovered that the agenda of the fiscally conservative activists who helped elect them can conflict with the interests of constituents. In Grimm’s case, that has meant lobbying for a new light rail system in his district, even as Republican governors such as Rick Scott in Florida and Chris Christie of New Jersey reject federal transit funding as wasteful spending. While Republicans fight for steeper cuts in federal spending, he’s opposing funding reductions for police, transit, and low-income heating assistance programs the House approved as part of an overall bill that would trim 2011 spending by $61 billion. That comment didn’t sit well with some of his earliest supporters. “His use of the word ‘extreme’ was insulting especially so to Tea Partiers, who have been eating, sleeping and breathing drastic — even draconian — spending cuts since” the TARP financial-rescue package was enacted in late 2008, wrote Frank Santarpia, an organizer of the Staten Island Tea Party, in a letter posted on the group’s website. During his primary campaign, Grimm cultivated the backing of Tea Party groups and touted an endorsement from former Alaska governor Sarah Palin. Such support helped him defeat a candidate backed by Staten Island Republican leaders for the party’s nomination. As November’s election neared, though, Grimm declined to call himself a “Tea Party candidate” in an interview with the Daily Caller website. Now, Grimm says he supports the basic Tea Party principles of fiscal responsibility while opposing those embracing a shutdown. “By listening to these groups we would be shortchanging America,” he said. Tea Party activists are likely to turn on lawmakers such as Grimm, said Brian Darling, the director of government studies at the Heritage Foundation, a Washington-based advocacy group that promotes fiscally conservative policies. Still, to challenge members like Grimm, Tea Party activists must find a way to keep their diffuse, leaderless movement unified for another election cycle. Santarpia said not all members of his group share his disappointment with Grimm. “Grimm’s middle-of-the-road approach satisfies the pragmatists but, to a certain extent, disappoints the hawks,” he said in an interview. Analysts say it isn’t surprising that Tea Party ideals are taking a back seat to the temperament of Grimm’s district. Almost 13 percent of Staten Islanders work in real estate, insurance, and finance, according to Jim Brown, a labor market analyst at the New York State Department of Labor. Another 22 percent of the borough’s residents are government workers, above the almost 15 percent national average. Grimm worked for the government for most of his career. He joined the Federal Bureau of Investigation as a clerk while attending college, after having served in the U.S. Marines during the 1991 Gulf War. Three weeks after taking office in January, he met with congressional and local officials to build support for a new rail line connecting Staten Island and New Jersey. On Feb. 9, Grimm voted against a Republican-sponsored bill to cut $179 million from security funding for the United Nations headquarters in New York City. Five days later, Grimm joined Representative Peter King, a Republican from Long Island, in writing House Speaker John Boehner to express “grave concern” that the chamber’s budget bill would “impose a disproportionate impact” on the New York region by slashing more than $750 million in funding for Amtrak and heating assistance for low-income families, among other programs. Grimm ultimately voted for the House’s budget bill, after supporting two Democratic amendments to restore funding for police and fire programs. The Democratic Congressional Campaign Committee quickly authorized a series of automated telephone calls to voters that criticized him for backing a bill with the cuts to police funding. “Representative Michael Grimm has been trying to dance around the truth of his extremist agenda and Tea Party roots,” said Josh Schwerin, northeast regional press secretary for the DCCC. Grimm has made clear he will try to dodge that line of attack. “I don’t want to give the Democrats the option to stand up and say, ‘Look how unreasonable’” Republicans are, he said. Grimm is emerging as an advocate for financial services firms. He’s using his seat on the House Financial Services committee to push for a re-examination of the financial regulatory overhaul former Senator Christopher Dodd, a Connecticut Democrat, and Representative Barney Frank, a Massachusetts Democrat, pushed through Congress last year. Critics say the measure is burdensome. The new rules are required to be in place by July 2011. ICAP and other firms are lobbying Congress to give the market more time to adjust. Between the shouts of brokers cursing out each other and the market, Grimm during his office visit promised ICAP executives that they’d have an open line to his office. Investment banker Robert Diamond is seriously considering jumping into the race to challenge incumbent Staten Island Republican Congressman Michael Grimm, The Politicker has learned. Diamond is a senior vice-president at Realty Capital International, a real estate investment banking firm, and a former vice-president at Bear Stearns. Prior to his career in finance, he served in the U.S. Navy and was the Navy’s legislative liasion to the House of Representatives. A Truman Security Fellow, he also serves as vice-chairman of the Democratic National Committee’s Veterans and Military Families Council. According to a Times story about his 2004 wedding, Diamond’s mother served as the district director to former Staten Island Republican Congressman Vito Fossella. McMahon has been hinting that he will run himself, but has made no moves yet to put together a campaign. Grimm has come under fire in recent weeks for his full-throated endorsement of Paul Ryan’s budget, even though cuts in that proposal could hurt seniors. A phone call to Diamond was not returned. STATEN ISLAND, N.Y. — He is Staten Island’s representative in Congress. But in his past life as an FBI agent, did Michael Grimm indulge a taste for the nightlife and push the envelope too far? The latest issue of The New Yorker paints Grimm as a hotheaded G-man with a chip on his shoulder. The 10-page story has unearthed a decade-old allegation that Grimm, during his days as an FBI agent, abused his authority and waved his gun during a nightclub dust-up with the husband of a woman he was dating. The magazine piece, which focuses on an FBI informant with a checkered past, and the lengths to which the bureau went to protect him, features Grimm prominently. It also quotes unnamed FBI colleagues, some who “applauded” Grimm’s undercover work, which included Operation Wooden Nickel — an investigation into illegal manipulation of foreign currency markets — and public-corruption probes in New Jersey and Florida. Others said they were turned off that Grimm had used his career as an agent as a springboard to Congress. Grimm’s supporters included agent Lawrence Ferazani, who said, “I wouldn’t question his integrity,” and “he never, ever, challenged the rules. The altercation prominently described in the New Yorker piece took place on July 10, 1999, and it spurred a lawsuit in 2000 against Grimm by former NYPD officer Gordon Williams. Grimm gave a different version of the night to the New Yorker — he had been jumped by the woman’s husband and four men, and Williams refused to call 911. He went outside, found a patrol car, and came back in with police. Grimm said he was carrying his gun, but he only flashed it when he took out his badge. He said he didn’t threaten to kill anyone, and never declared the incident an FBI operation. “I was a hundred percent by the book and fully exonerated,” Grimm said. The lawsuit he filed against Grimm was later dismissed. Williams represented himself in his lawsuit, in which he accused Grimm of assault, libel and slander. Grimm was defended by the U.S. Attorney’s Office in the matter, which was dismissed in Eastern District Court in 2001. Robert Scamardella, president of the borough’s Molinari Club and a key Grimm ally, said the allegations made in the New Yorker article were “new” to him, but noted that Williams’ lawsuit was dismissed. “That leads me to believe that there was no credibility to the case to begin with,” Scamardella said. Yesterday there was a front page story about town hall meetings sponsored by My congressman, Michael Grimm. Grimm had voted for the Ryan plan. The Congressman showed his colors at a first meeting on Wednesday in Brooklyn, NY, by denying President Bush’s role in our current economic crisis and denying that opponents to his policies had any voice as constituents.There was again yesterday a second town meeting on Staten Island, where the bulk of his constituency resides. This is a “quasi-follow-up” because I couldn’t actually get into the meeting but did involve myself somewhat at the venue. The meeting had been advertised in the local newspaper, with a phone number to call (Grimm’s office) for reservations – the venue only had room for 375. I don’t receive that paper, so I only heard about the meeting later. I attempted to call the number early in the day of the meeting and was informed that there were no seats left. But I went to the site anyway to play it by ear, because there might be a chance for admittance. I also brought along a few signs because I had learned that there would be a protest group forming outside the grounds (about a dozen showed up – including the costumed “Grimm” reaper, mentioned in the local newspaper article about this second meeting). After awhile, I left the protesters and joined a group of about 15 “stand-bys” who were told may be admitted if there were available seats. We all waited patiently for about an hour. When it was close to start time (7 PM), we were ushered to a registration table and told to wait there.This is where the fun began. A staffer (probably one of Grimm’s), kept running into the auditorium to “take a count of available seats”, but, there was a constant trickle of latecomers who were registered, and this held up our admittance for about 20 minutes.Finally the man returned, but his story had changed – there were empty seats, but for security reasons, none of us would be admitted unless we were on the rez list – a list in which all names had been “screened”. No “unscreened names” would be admitted. He asked us to think of the Giffords incident to understand why this was necessary.The discussion between the guy and some of my colleagues-in-line became a little heated about this, as you can imagine, but I was particularly upset by something else. Each and every registered attendee who entered the venue was handed a 2-sided xerox of a WSJ article casting negative aspersions on Obama for the deal with Brazil purported to allow offshore drilling, when Americans were suffering from ever increasing gasoline prices (this has been debunked, btw).I mean, what business do the “gatekeepers” for a public town hall with a Congressman have in distributing blatant anti-Obama propaganda? I found myself in a heated argument about this issue with another staffer that can only be described as a barroom bouncer type, who, as the redness in his face increased, swore: “It’s not anti-Obama, it’s the truth” (sounds like: “It’s not racism, it’s anti-Obama)!” I thought for a minute he was going to haul off and belt me one, especially when I called the article “a bunch of Rupert Murdoch garbage”.Eventually we gave it up and I didn’t really get the chance to make any noise in the meeting proper, but I did feel I had done something for our side. Now, this second town hall has been reported in our local paper and it’s interesting how Grimm altered a biggie from the first meeting in Brooklyn:After thumping President Obama, he said the Bush administration had “lost its way and spent too much” as well. He also called for an end to subsidizing big oil and closing corporate tax loopholes.WTF? Didn’t he just say the night before that thinking Bush had a role in our economic troubles this year was “insane”?Did that NYT article get to him overnight? And what’s this about closing corporate loopholes and ending oil subsidies? I’ll believe that when I see it.At any rate, I can’t testify to the extent this second meeting reinforces the meme that congressmen are getting wrath at home for voting for the Ryan plan. I hope the Dems who got into the room gave him the business, but my district is pretty conservative and I’m sure he had many friends in there, as well as at the “registration table”. Just six months ago, tea party activists helped catapult New York Rep. Michael Grimm to victory in a race few expected him to win. But that once-close relationship is already showing signs of strain. The freshman Republican has become the subject of pointed criticism from grass-roots conservatives whose backing he cultivated. Much of the tension surrounds Grimm’s vocal opposition this spring to a government shutdown and his support for legislation that would keep the government funded temporarily until congressional leaders and the White House hammer out a longer-term budget solution — positions that have put him at odds with tea party activists. It wasn’t the first time in his short tenure in Congress that Grimm had clashed with the tea party on spending issues. In February, Santarpia posted a letter he wrote to Grimm hammering the congressman for seeking to add as much as $750 million to the GOP budget bill to restore programs that will affect the greater New York City area — and reportedly didn’t give the congressman a heads-up he was taking his complaints public.